We’d love your help. 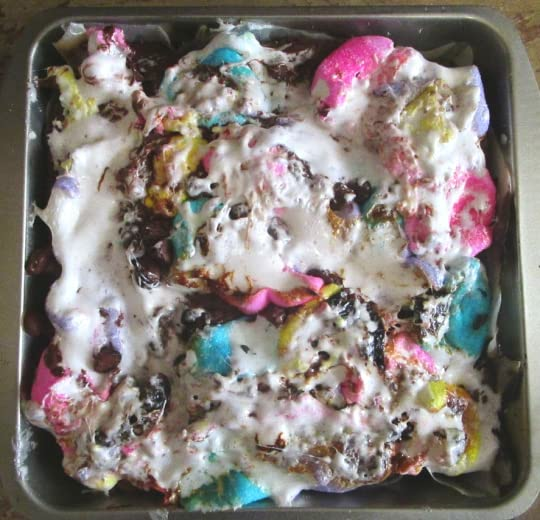 Let us know what’s wrong with this preview of Peeps-a-licious! by Just Born. 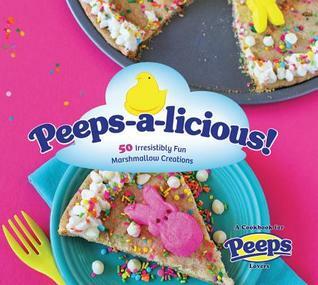 Turn your favorite marshmallow Chicks and Bunnies into delicious, unique desserts of all kinds with recipes from top food bloggers and the PEEP makers themselves with Peeps-a-licious! 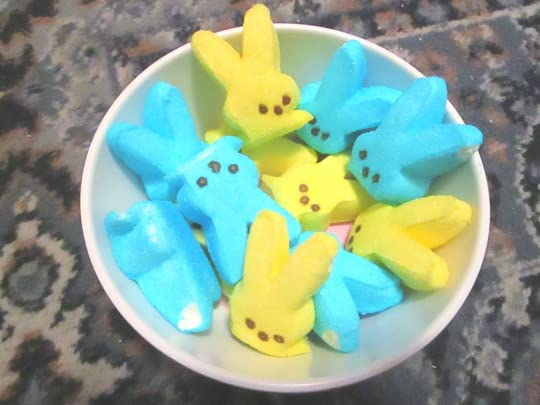 Whether you prefer Chicks or Bunnies, chocolate-dipped or traditional, Easter or Halloween-everyone has a favorite PEEPS Brand Marshmallow treat. 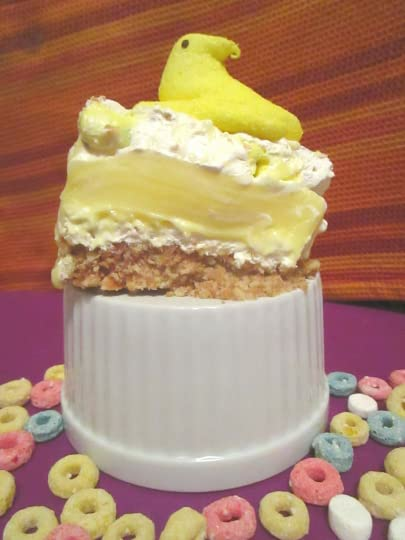 Now you can incorporate PEEPS into all of you Turn your favorite marshmallow Chicks and Bunnies into delicious, unique desserts of all kinds with recipes from top food bloggers and the PEEP makers themselves with Peeps-a-licious! 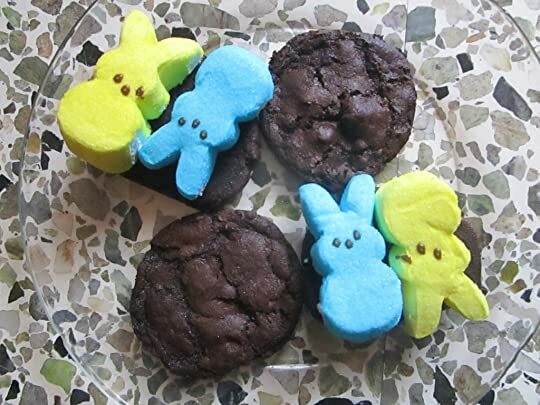 Whether you prefer Chicks or Bunnies, chocolate-dipped or traditional, Easter or Halloween-everyone has a favorite PEEPS Brand Marshmallow treat. Now you can incorporate PEEPS into all of your desserts with the delicious culinary creations in this fun and colorful cookbook. 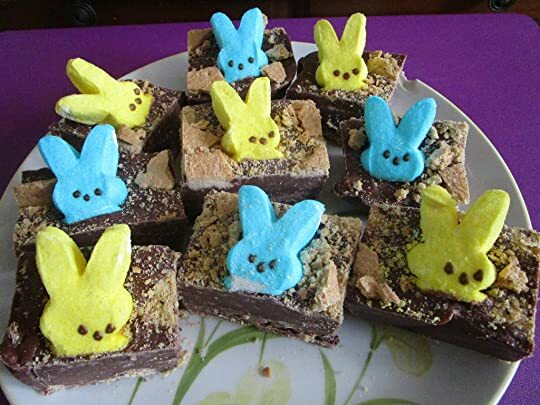 Peeps-a-licious! 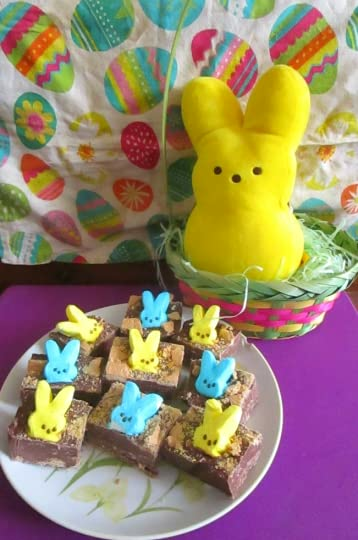 features 50 winning PEEPS-inspired recipes from some of your favorite food bloggers, along with some fantastic original recipes from the folks at Just Born, the makers of PEEPS. 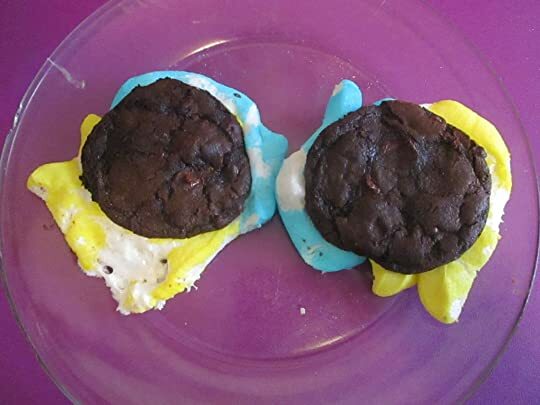 You'll learn how to make adorable PEEPS-styled cupcakes, pops, cookies, cakes, brownies, and more. 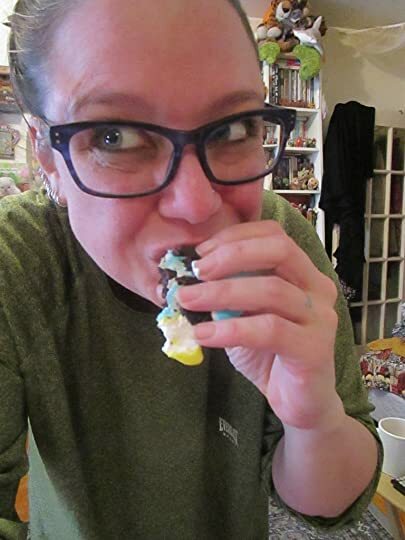 Indulge in PEEPS-Stuffed Chocolate Chip Cookies, PEEPS Party Cupcake Cones, No-Bake Lemon PEEPS Cake, PEEPS Macarons, and even Frozen PEEPS-icles. 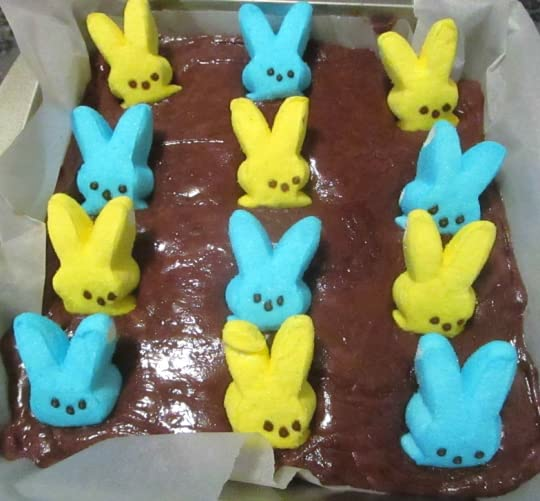 PEEPS are the perfect dessert treat, and each recipe is sure to please all ages. 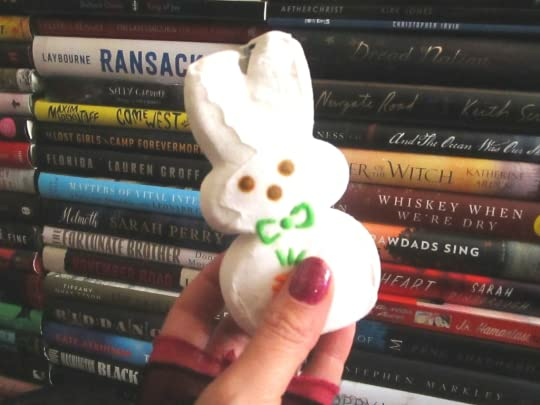 Plus with recipes for Easter, Halloween, Thanksgiving, Christmas, and Valentine's Day, you can make PEEPS treats all-year round...it's the perfect book for the PEEPS lover in your life! 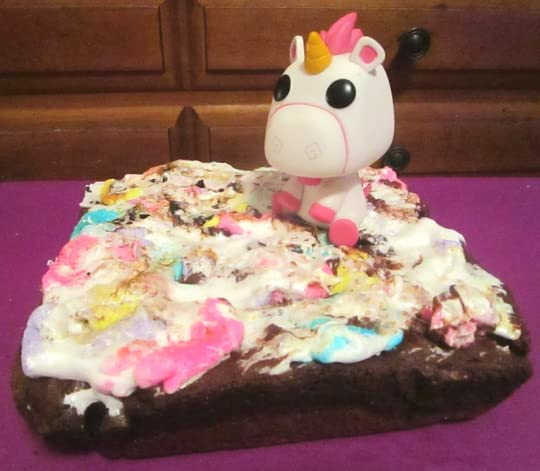 To ask other readers questions about Peeps-a-licious!, please sign up. 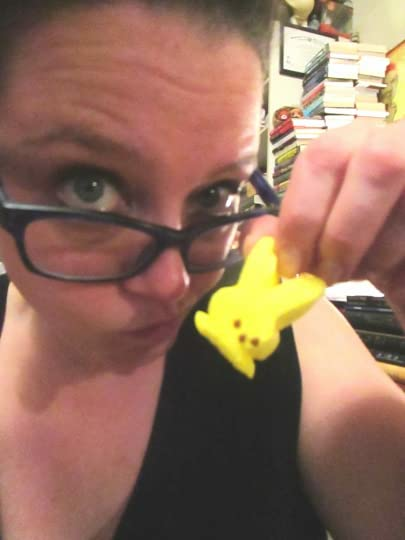 Be the first to ask a question about Peeps-a-licious! BONUS MARCH PROJECT! 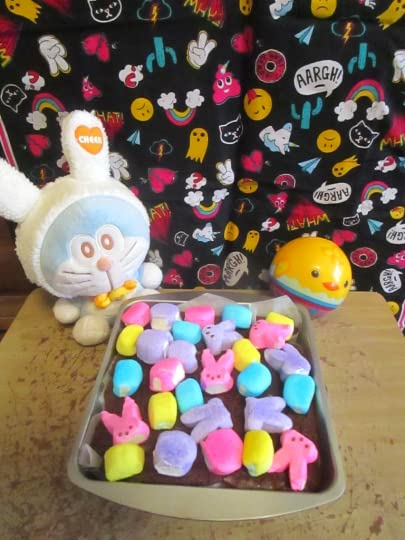 - update - i am going to continue this slightly into april, because greg's still upstate with my chocolate mousse PEEPS® and i didn't have time to make the lemon bar ones, but i bought all the ingredients, so. 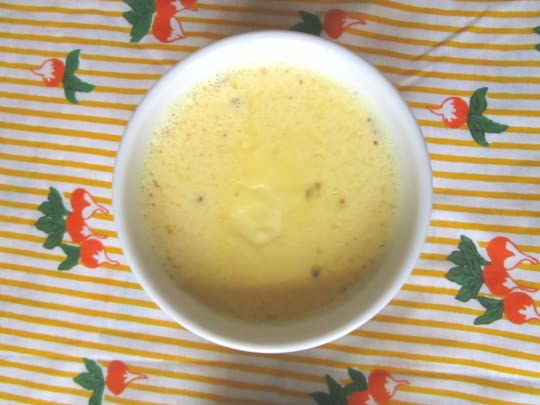 two more recipes! soon! 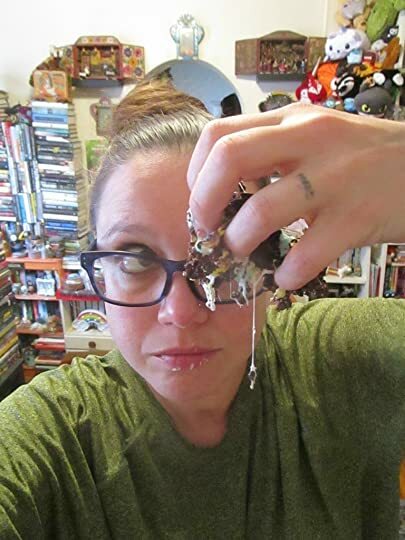 since i finished Animal Querkles too quickly, i have some extry days of march to fill with projects, and i'm choosing to fill them with this book! 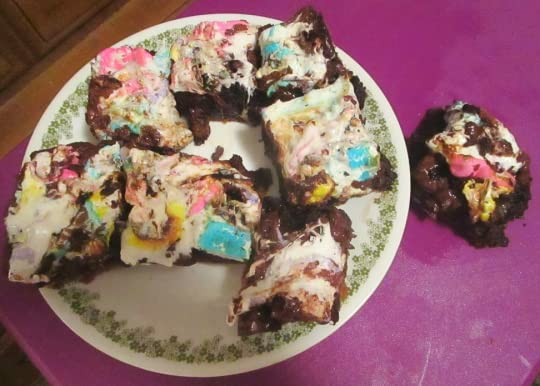 i don't think i could handle a month's worth of PEEPS® recipes, gastrointestinally speaking, but a BONUS MARCH PROJECT! 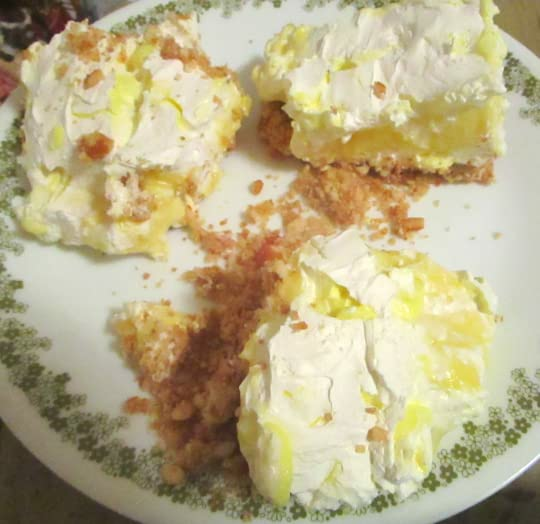 - update - i am going to continue this slightly into april, because greg's still upstate with my chocolate mousse PEEPS® and i didn't have time to make the lemon bar ones, but i bought all the ingredients, so. 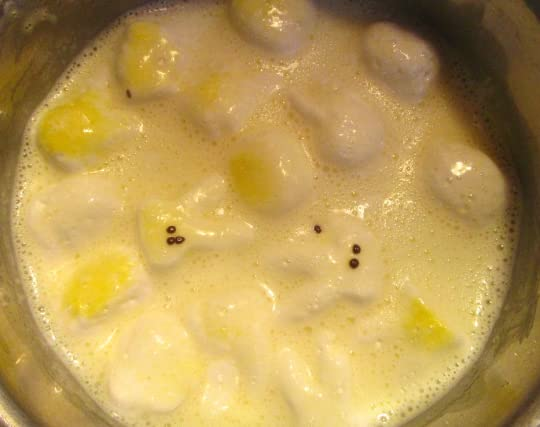 two more recipes! soon! 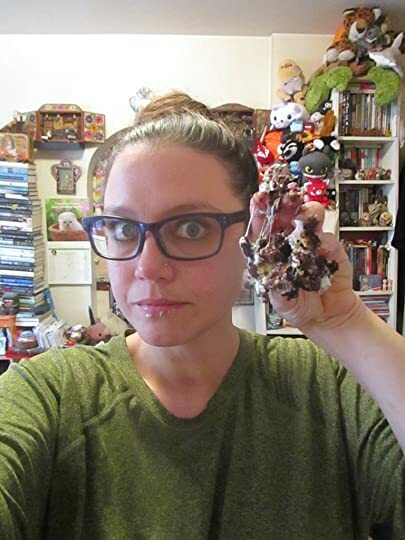 since i finished Animal Querkles too quickly, i have some extry days of march to fill with projects, and i'm choosing to fill them with this book! 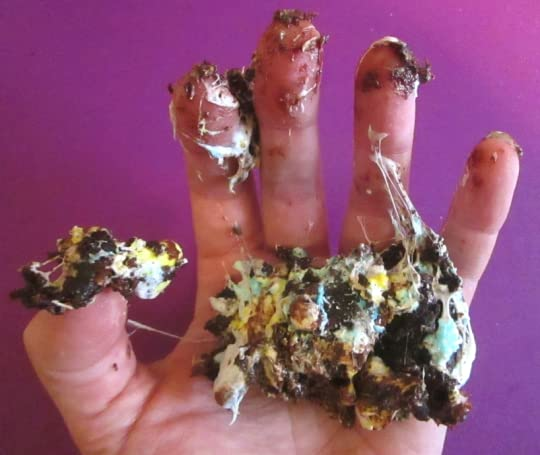 i don't think i could handle a month's worth of PEEPS® recipes, gastrointestinally speaking, but a week? i can manage that. 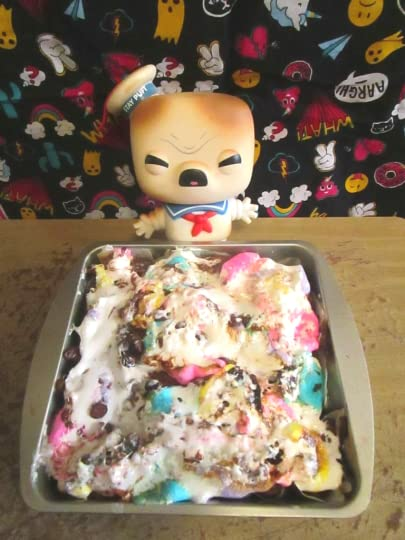 sugar high, here i come! 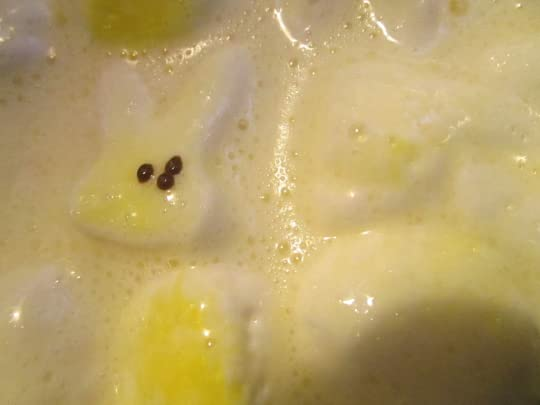 will these bunnies rise again after three days? who knows - by then they will long be eaten. i will let you know if i experience any indigestion. 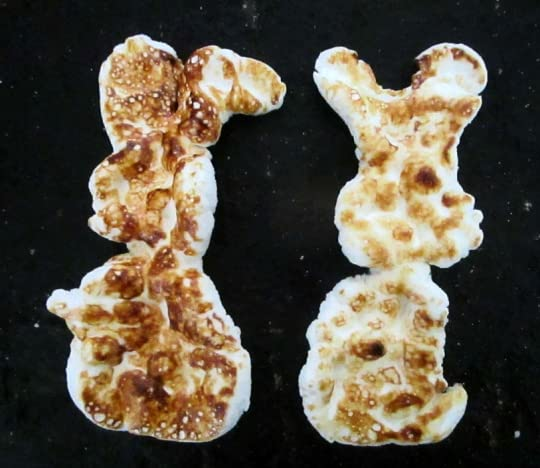 the book warns: Microwave, one by one, for 8-12 seconds until the Bunnies begin to puff up, depending on your microwave wattage. 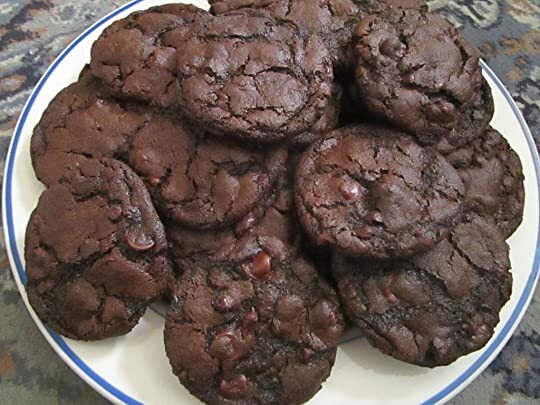 Do not microwave for any longer than that or your cookie will fall apart and be too fragile to pick up. 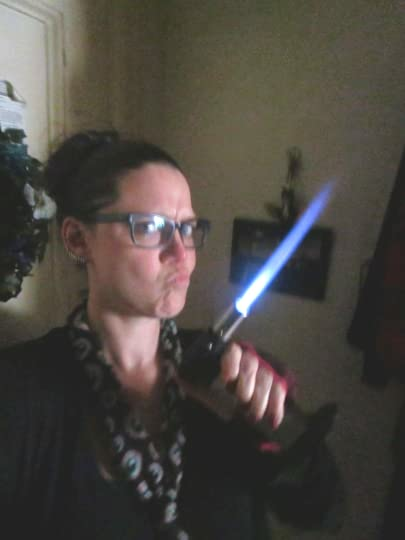 i don’t know what gives with my microwave, but my Bunnies just weren’t puffing up, so, yeah - i had to microwave for much longer. 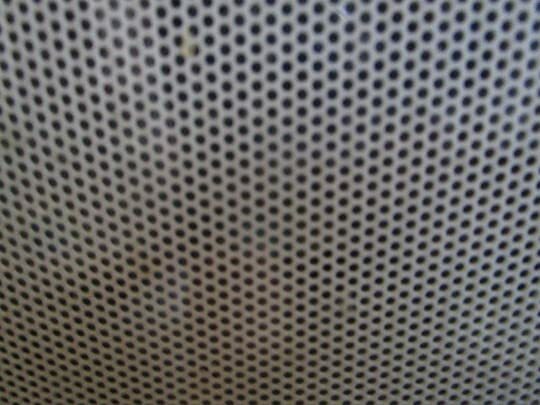 oh, and i tried to provide the microwave footage requested by Rossdavidh, but unfortunately, my microwave likes to keep its secrets. okay! 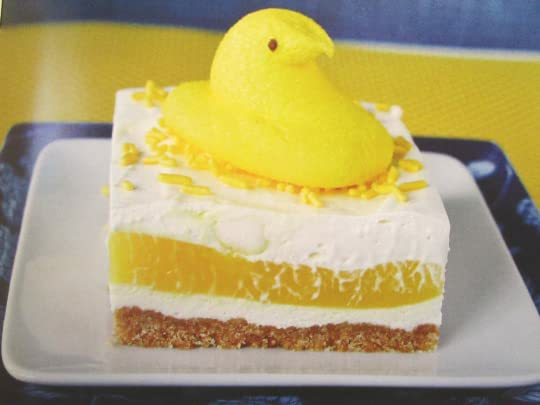 time for a recipe from the “PEEPS® gourmet” chapter! because we fancy! but it was worth it, right? 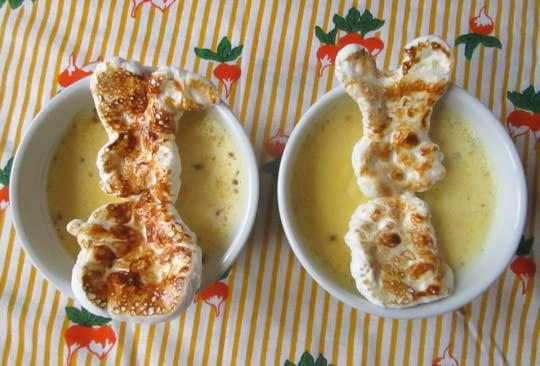 for crème brûlée? which is pretty much my favorite thing. 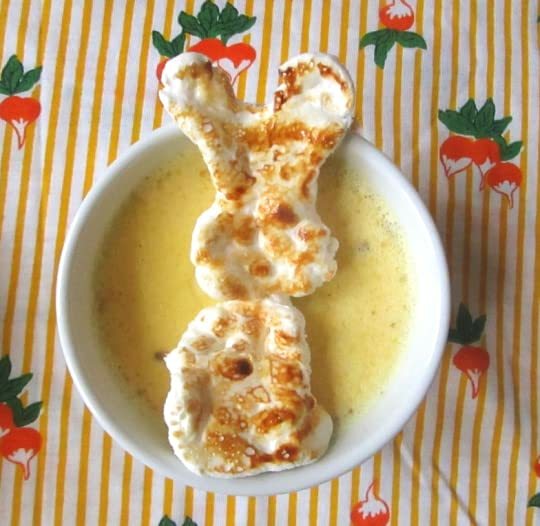 although maybe giant bunnies are too giant for this. 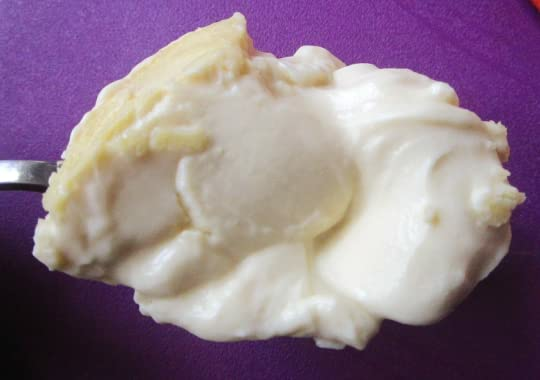 don’t care - this was unexpectedly delicious, and while it doesn’t top the crème brûlée recipe i got from some guy that used to work at gotham, if you have PEEPS® and heavy cream on hand, why wouldn’t you make this? 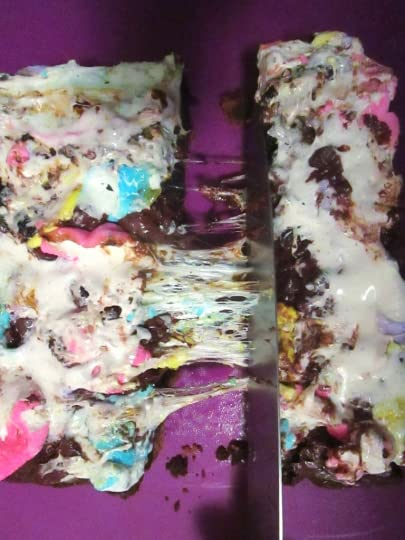 this was a messy, messy one! 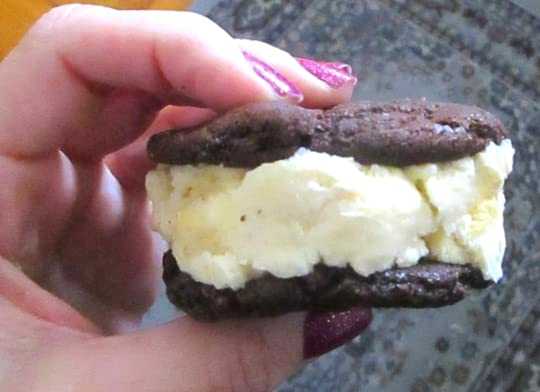 this recipe is lying to you. 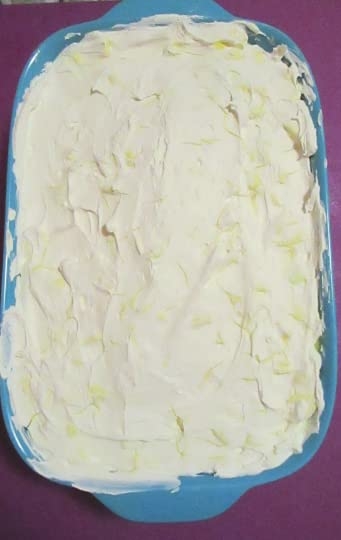 i've made more than a few baked goods in my time, and while i was making this one, i thought, "that's not nearly enough butter to make a crust." 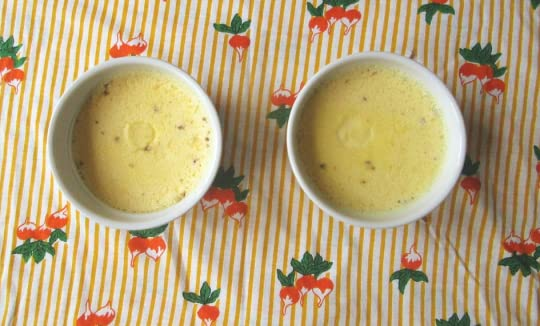 and, "there's no way they're using lemon pudding in that photograph." and, "how is theirs so... tidy?" 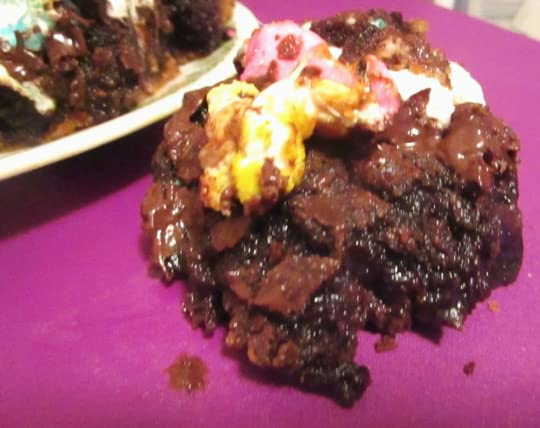 and, "go to hell, 'love from the oven!' if that's even your real name! why do you want me to fail? 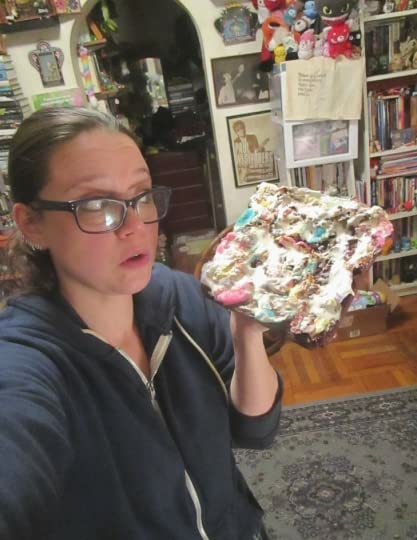 and why are you contributing a recipe to this book that doesn't even require an oven???" 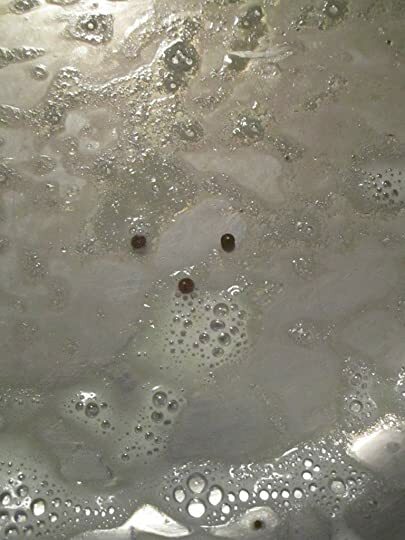 joke's on them, though, because i can food-style, too. 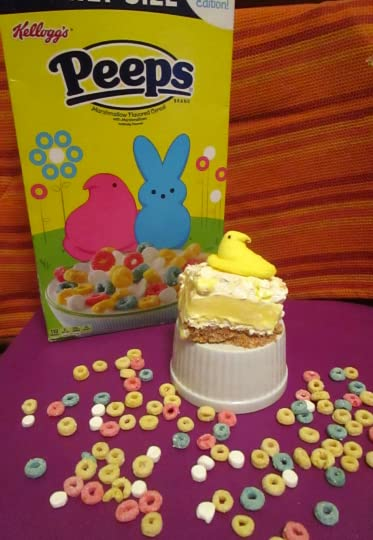 on a less yelly note, i do like how you can see the PEEPS® peep-ing out from just under the whipped cream here. 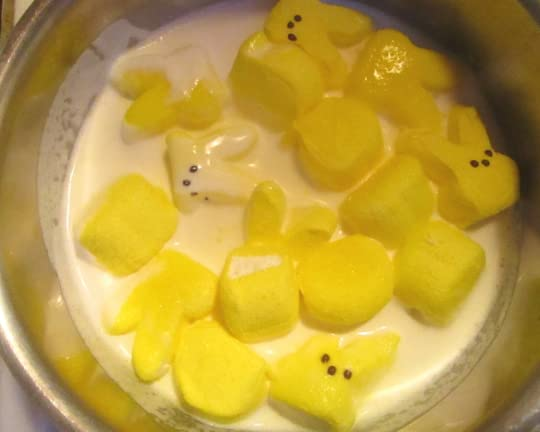 Recipes using the marshmellows peeps.